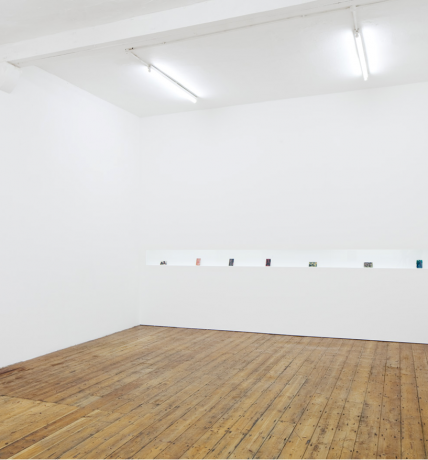 FINAL WEEK to see the Paul Johnson curated installtion of the Madge Gill series at the Nunnery Gallery. Johnson’s intensely worked collages and sculptures raise questions about the delusional and the paranoid - hence his interest in the endeavours of Outsider artists. During a preliminary visit to the archive as part of the residency, Johnson uncovered an unknown album created by Madge Gill during her lifetime. This album feels like the artist’s personal selection of her own work, where she explores a multi-coloured landscape of new shapes, forms and iconography, as yet unseen to the public. These selected works represent an intriguing starting point for the residency in which Johnson hopes to capture something of the subtle nuances which play between his work and that of the deceased Madge Gill. Johnson has approached the residency intent on deconstructing the traditional Outsider art exhibition, where work is piled one on top of another. Focusing on selected small works the viewer is asked to slow down and consider each piece of Gill’s visions, instead of trying to explore her vast output. Johnson also wants to be playful with some of these works, by sensitively putting them leaning, touching or obscuring his own works as a way of creating an intimate dialogue within this two-person exhibition. It is undoubtedly an exciting opportunity to show the two artists’ work together and allow that conversation to emerge within the Nunnery Gallery. This residency has been supported by the London Borough of Newham heritage and archive service.